It is important for everyone to have in mind the kind of lifestyle he has before making the choice on the kind of the upholstery to purchase. The kind of lifestyle varies because some people keep pets or their rooms are often stained while some people stay alone and therefore no much dirt is accumulated. Whichever the case, there are some considerations before finally choosing an upholstery. Cotton for instance is a good choice since it is long-lasting and resistant. Though some dispute that it does not resist stains and normally it wrinkles easily. Microfiber on the other hand is known for its comfortable soft and suede feel which accommodates products that can enable it become more resistant to stains. It is normally preferred by a family that values comfort though in some cases minor accidents can occur due to sliding. Some synthetic fibers like acrylic and polyester are also easy to clean and strong. They are also well known to be resistant to forces of static. There are fibers like olefin which apart from being resistant to stains; it does not get along with high temperatures. Yet for all the years, nylon has proven to be the only long lasting fabric that can act as a replacement to other natural fibers. It is therefore important to put in mind on the kind of fibers that are not going to give you a problem when it comes to cleaning. Wool, though preferred by many for its warmth and comfort is not a fiber that will be easily managed and the only way to maintain it is by dry cleaning. Another important fact to base on is the nature of the top finishing. The user should be fully aware of the brands that are in the market for upholstered furniture. 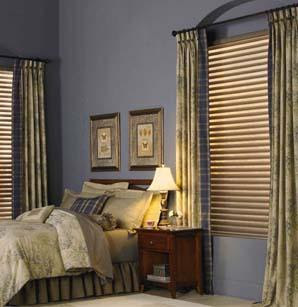 It is important to ensure that curtain is also catered for as they form part of décor in any home surrounding. The users are however advised to do some research before landing on the best method of maintaining upholstery assets.